By most counts, Secret and Whisper should be destined to fail, or at least laughed out of any serious discussion of modern hard rock. Not only are they doing some extremely heavy post-alt rock, they’re adding all kinds of ambient and techno flourishes in the production and even the instrumental work itself. Add in the abundance of pick harmonics, upper-octave riffing, harmony runs and spaced-out melodic vocals with total disdain for faux-evil growling, and most discerning modern rock snobs will tell you all this band needs to finish the joke is to be either overtly CCM or proudly Canadian. 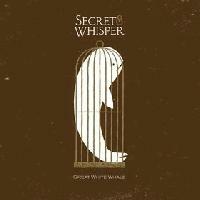 In this case, Secret and Whisper stay a step ahead by being both, but ultimately it is they who get the last laugh: Canuck Christian or not, Great White Whale is simply a great modern rock album. From the opening loops and sample distortion of “Blonde Monster,” it’s obvious S&W’s strength is in being reminiscent of a lot of other bands without actually sounding like those other bands. Listen closely and you’ll hear a little Linkin Park, except without the manufactured angst; Killswitch Engage minus the metalcore schizophrenia; Switchfoot, but without the in-your-face spirituality. Ultimately, the success of Great White Whale is the synthesis of what so many of their immediate predecessors and contemporaries do so well into an album that succeeds more from the band’s sound than on any one song. Beyond the frenetic guitar pyrotechnics of “XOXOXO” and the twin driving riffouts of “You Are Familiar” and “Spider Besider,” the standout moments are essentially nonexistent, but uniformity and consistency have were always what separated the U2s and Slayers of the world from the Duran Durans and Poisons. If they weren’t on a label (Tooth & Nail) so famous for carrying Christian bands, there probably wouldn’t even be discussion about what faith the group might carry into its songwriting. In the few moments where Charles Furney’s vocals are obviously about anything, the themes have less to do with any kind of belief or ethos than they do about universal themes at the very core of the human experience: identity, strength, hurt, forgiveness, and hope. What gets lost in the debate over the semantics of labeling someone of even S&W’s vague religiosity as “Christian rock” is the simple fact that the machine gun riffs, half-time tempo changes and walking root lead lines could just as easily come from anything by, say, All That Remains or Clutch. To put it another way: the existence of any larger sermon on Great White Whale is entirely debatable, but the rock and metal elements are absolutely undeniable. They may or may not be doing the Lord’s work, but the acolytes of heavy music will find fulfillment either way.